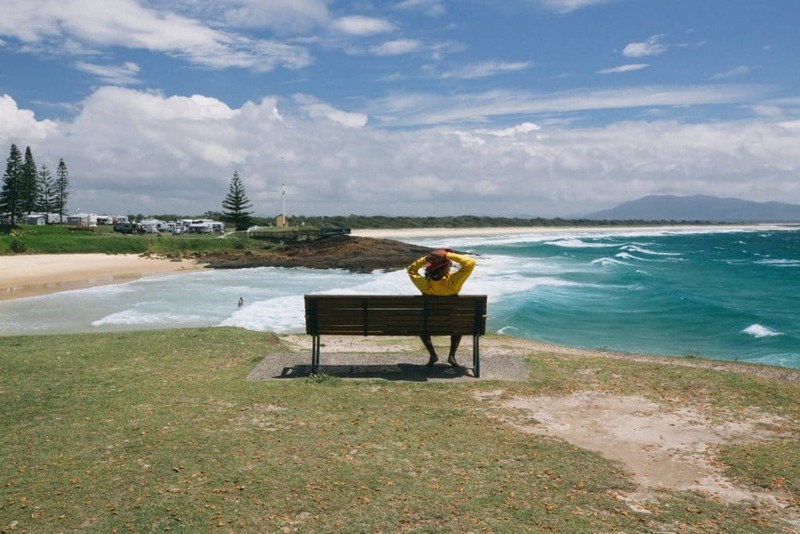 CoastBeat’s Geordie Bull has put together your must-do list when visiting South West Rocks – check out the article below. 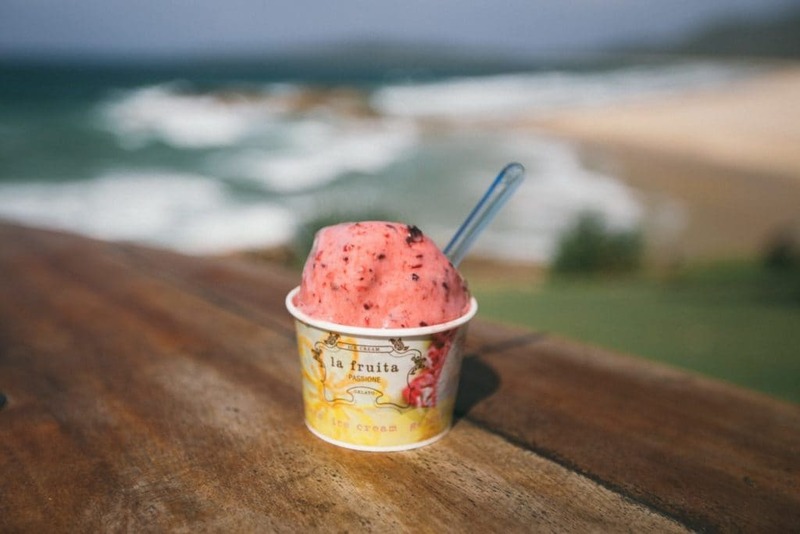 Located on the Macleay Valley Coast between Port Macquarie and Coffs Harbour, South West Rocks is a little town that punches above its weight when it comes to jaw-dropping beaches, foodie havens and adventure. Whether you’ve got a day, a week or a month to visit, here’s a top ten must-do list for making the most of this delightful seaside village. The Mid North Coast is packed with lush beaches, and my home in Crescent Head is no exception. That said, the beaches in nearby South West Rocks take things to another level. With white sand, crystal clear water and stunning granite rock formations, all the beaches in this area will blow your mind – including Horseshoe Bay, which has the added bonus of being located a stone’s throw from the town centre. Kick the day off by grabbing a coffee and wander down to the beach for a swim or enjoy a lunch of fish ‘n’ chips from the nearby kiosk. The expansive Arakoon National Park offers a choice of well-maintained and signposted nature walks to suit all fitness levels. 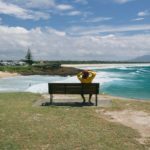 Our family loves to pack a picnic and do the easy wander from Trial Bay Gaol to Little Bay, where the kids can play on the rocks and swim for hours (sometimes we have it all to ourselves). More adventurous hikers can tackle the 10km walk from the gaol to Smoky Cape lighthouse, enjoying coastal views, abundant bird life and bushland scenery. You won’t find any signs pointing to the Mermaid Pools – locating them is part of the adventure. Starting at the gaol, take the Monument Hill track and walk until you discover five or six turquoise rock pools set in the granite boulders that border the ocean in Arakoon National Park. Have fun rock-hopping your way down to the pools and bask in the water as the waves splash up on the rocks. We recently took the kids on a day trip to see the fabled pools and, in the words of my four-year-old son, “that was the greatest day ever!” Sometimes the best things in life really are free. If you love a bit of history, Trial Bay provides an experiential insight into what life was like for the prisoners of yesteryear. 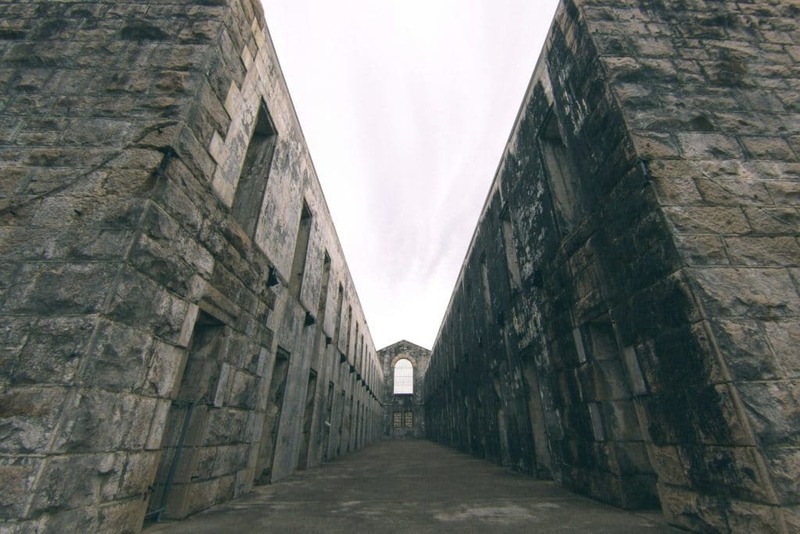 Opened in 1886, it functioned as a public works prison and was also used in WWI as a German internment camp. The gaol closed in 1918, reopening years later to become a well-known tourist attraction that features beautiful sandstone and a watchtower with some of the best views on the coast. The gaol is run by the National Parks and Wildlife service, who offer tours and school holiday programs for kids. If you’re looking for somewhere close by to stay, the popular Trial Bay campground is located beside the gaol, right on the calm waters of Trial Bay. 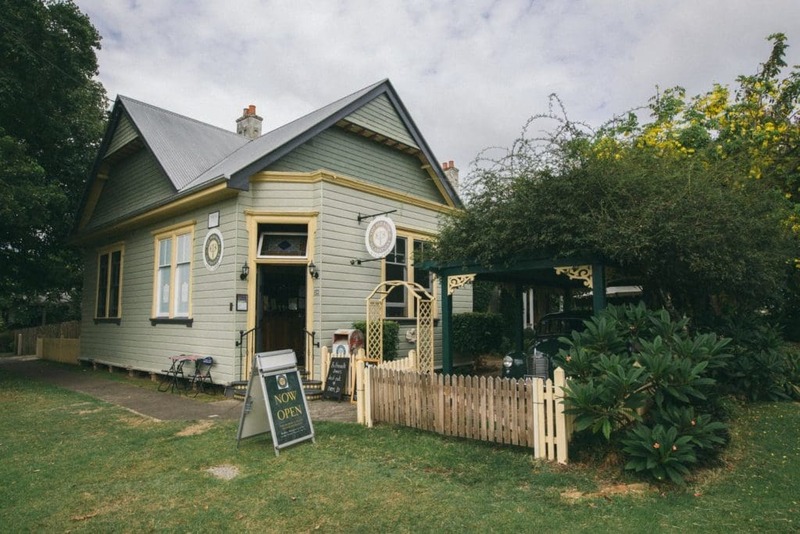 I never visit South West Rocks without dropping into Sixty Degrees Café to sample their ever-changing menu that prioritises fresh, local produce (the menus are hidden inside Little Golden Books – a quirky touch.) For another fantastic food and coffee option in the heart of town, try the perennially busy, Malt & Honey. You’ll also find a good selection of cafes by the river and near Trial Bay and Smoky Cape. If you love a good pub meal, the Seabreeze Beach Hotel does excellent food and often features a regular line-up of live music. 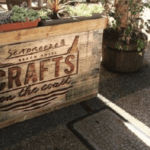 The hotel also hosts some great events, including the Craft on the Coast Beer & Cider Festival. For a delicious dessert, try Chillati Gelato & Sorbet. Open seven days a week, you can choose from 30 flavours of gelato, freshly made on the premises. Yum! If the beach is South West Rocks’ leading lady, the waterways of Back Creek are her co-stars. One of the best ways to explore Back Creek is to hire a paddle board from one of the two SUP hire vendors in town. Whilst enjoying a great workout, you’ll see stingrays, colourful fish and, if you’re lucky, a friendly pod of dolphins. If you’re an early riser, Tim and Nell from SWR SUP also conduct sunrise tours of Back Creek – even little kids can join in by donning life jackets and sitting on the front of the board. Worth it just for the view, Smoky Cape Lighthouse is a must-do for anyone visiting South West Rocks. 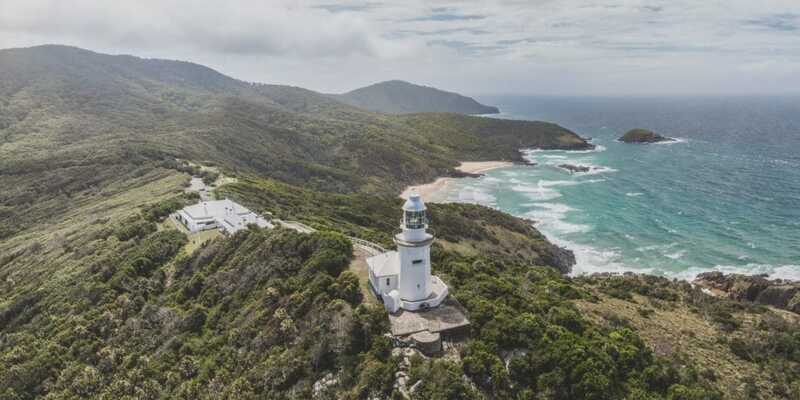 Surrounded by the pristine forest of Hat Head National Park, the lighthouse is a great spot for whale watching, picnicking and birdwatching. Guided tours of the lighthouse are available, and you can stay overnight at the adjoining lighthouse keeper’s quarters which have been turned into a charming bed and breakfast. Located just off the coast of South West Rocks, Fish Rock is one of the only dive-through caves in Australia and one of the largest ocean caverns in the southern hemisphere. If you’re into diving, take this opportunity to experience an underwater paradise teeming with fish, turtles, grey nurse sharks and manta rays. Two dive centres operate year-round to service visitors who come from all over the world to experience the wonders of Fish Rock. 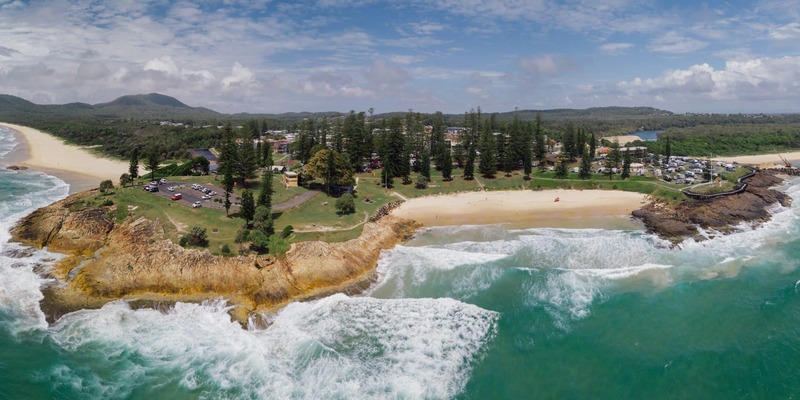 If you’ve got more than a couple of days to spare, it’s well worth the short drive to Hat Head, where you’ll find a sleepy village, a popular holiday park and a beautiful creek and beach. 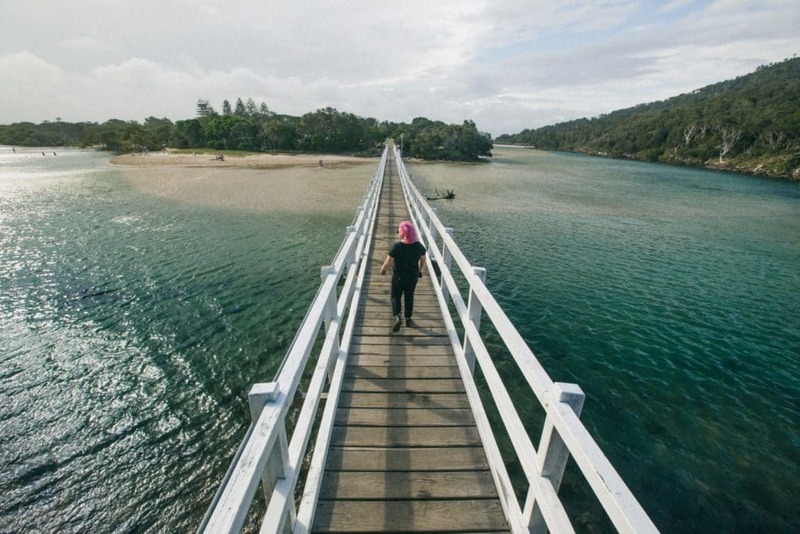 Cross the footbridge and follow the trail up the hill onto Connors Track, a six kilometre return walk that winds though coastal rainforest and heathland. Be sure to pack your swimmers for this one – there are plenty of inviting and secluded beaches along the way. Only 10 minutes from South West Rocks, the little village of Gladstone is the cultural capital of the Macleay Valley Coast. Listed on the Mid North Coast Arts Trail, Gladstone is home to a fantastic community art gallery, several artist’s studios and some eclectic boutiques – including The Hub, which houses a variety of little stores that share space in a quaint red building (you can’t miss it). Nestled on the banks of the Macleay river, Gladstone is also home to some country-style cafes that serve some of the best scones around. How many things have you added to your bucket list now? If you are planning on visiting the Macleay Valley Coast make sure you BOOK DIRECT for the best deals. 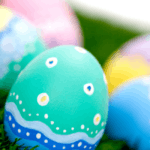 Check out our Packages and Deals which cater for the whole family.